At The Quality Inn Railway and Function Centre, we pride ourselves on offering quality facilities with service to match. 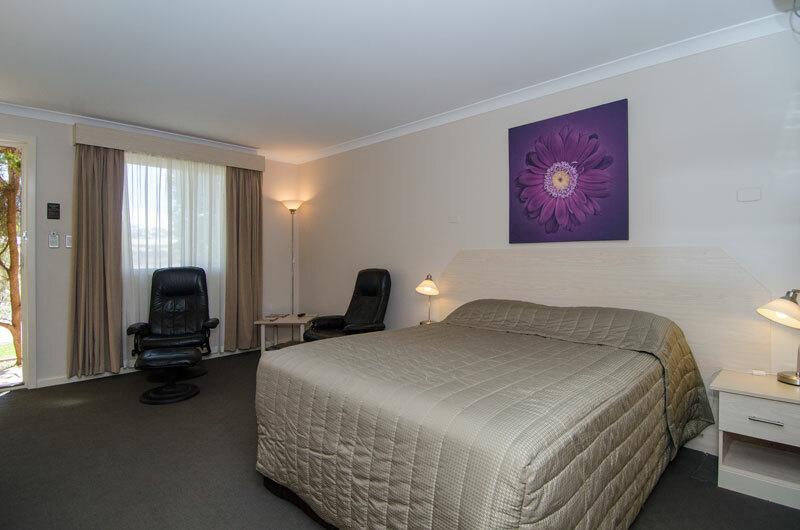 We are located 650 metres from Kalgoorlie's central business district and directly opposite the train station. 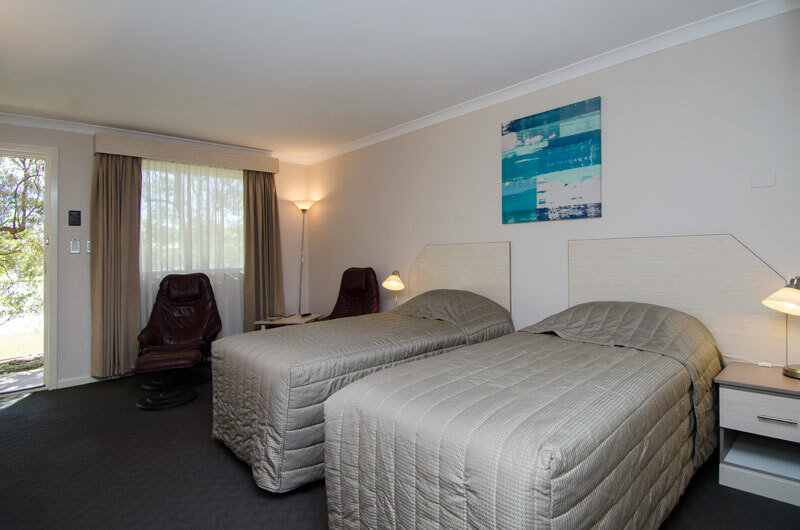 The Quality Inn Railway Motel and Function Centre consists of 95 motel rooms and 6 self-contained apartments (located off-site). Enjoy your stay in any of our beautifully appointed rooms ranging from Standard Rooms, Deluxe Rooms, Kitchenette Rooms or Superior Spa Suites. Included on site we have our fully licensed Carriages Restaurant offering A la Carte dining and a selection of WA beer and wine. Our outdoor entertainment area features a 12 metre swimming pool. The Quality Inn Railway can also cater for all your function requirements whether it is a 10 person meeting, 80 person wedding reception or 100 person presentation. Contains a queen bed, separate ensuite shower over bath, LCD TV, Foxtel, 5 movie channels, Wi-Fi and mini bar. Rates are for 2 people with existing bedding. (Room may be upstairs). Contains 2 single beds, separate ensuite shower over bath, LCD TV, Foxtel, 5 movie channels, Wi-Fi and mini bar. Rates are for 2 people with existing bedding. (Room may be upstairs). 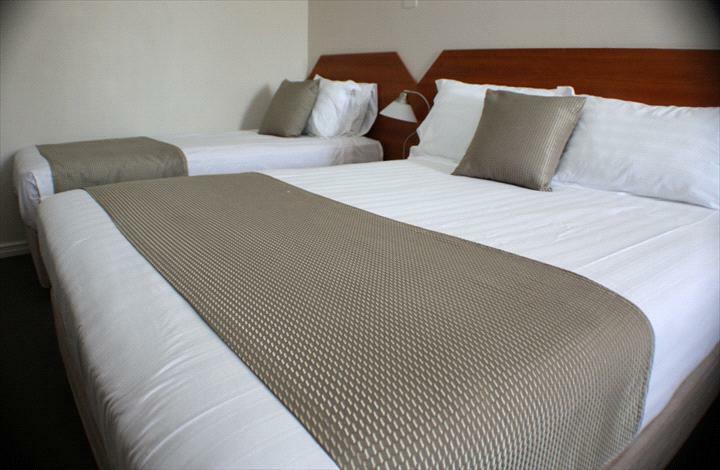 Contains a queen bed and a single bed, spa, separate ensuite shower, LCD TV, Foxtel, 5 movie channels, Wi-Fi and mini bar. Rates are for 2 people with existing bedding. (Room may be upstairs). 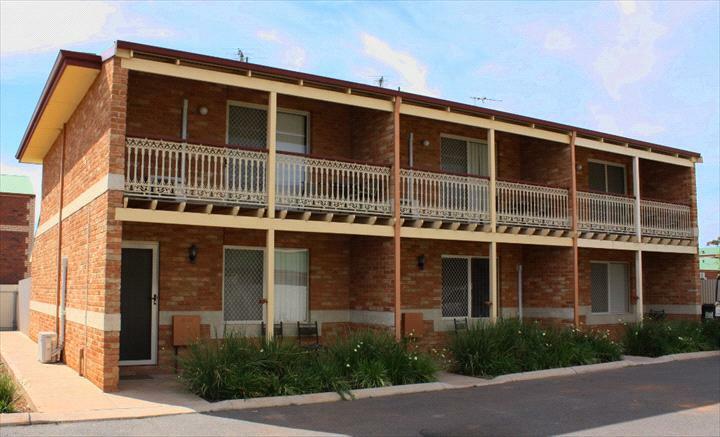 Our self contained apartments are 2 Storey with 2 bedroom upstairs. One room contains a queen bed, the other contains 2 single beds. Bathroom with shower and toilet. Downstairs is a Lounge and TV room with full kitchen facilities, full sized fridge and extra toilet. Fully air conditioned. Seniors special rate includes buffet breakfast (must present valid WA Seniors Card on arrival). 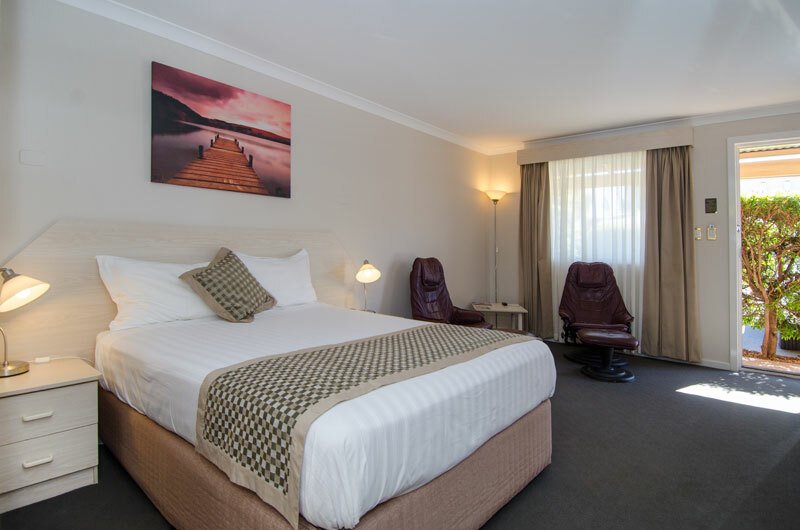 Contains a queen bed, separate ensuite shower over bath, LCD TV, Foxtel, 5 movie channels, Wi-Fi and mini bar. Rates are for 2 people with existing bedding. (Room may be upstairs). Seniors special rate includes buffet breakfast (must present valid WA Seniors Card on arrival). Contains 2 single beds, separate ensuite shower over bath, LCD TV, Foxtel, 5 movie channels, Wi-Fi and mini bar. Rates are for 2 people with existing bedding. (Room may be upstairs). Seniors special rate includes buffet breakfast (must present valid WA Seniors Card on arrival). Contains a queen bed, separate ensuite shower over bath, LCD TV, Foxtel, 5 movie channels, Wi-Fi and mini bar. Rates are for 2 people with existing bedding. (Ground floor guaranteed). Cancellation is 24 hours. Cancellations after this time will incur a fee of 1 nights accommodation.